You don’t have to be a beauty pro to have heard of YSL Touche Eclat highlighter, its probably one of the most renown make-up products . It gives a luminous femininity to the areas you want to highlight such as under eyes, cupids bow and cheek bones. 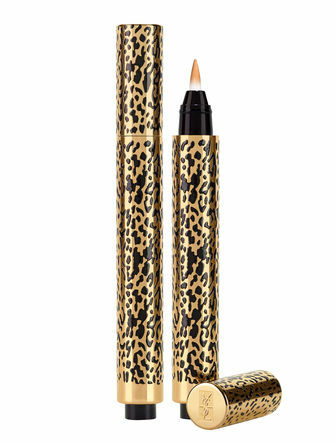 Discover the new YSL Touche Eclat Limited Edition, embellished with Yves Saint Laurent’s precious gold and leopard pattern. Get your hands on yours while stocks last!